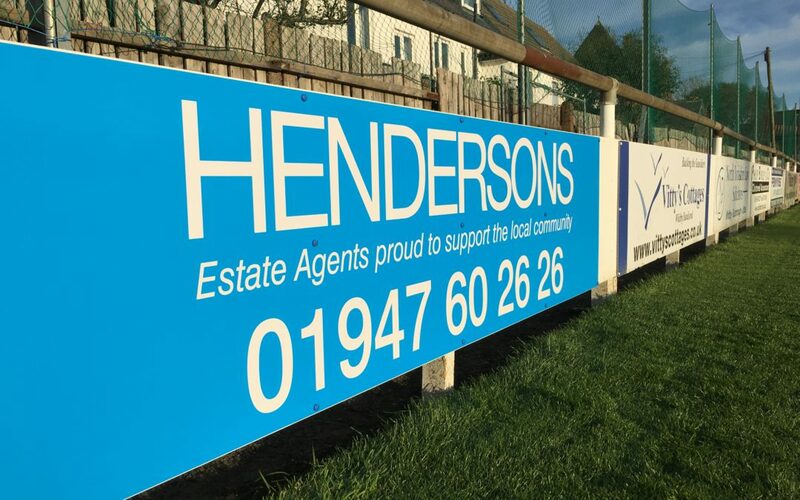 Vinyl Signs produce a ground advertisement sign for Hendersons to support the Whitby Town F.C. game tomorrow at the Turnbull Ground. 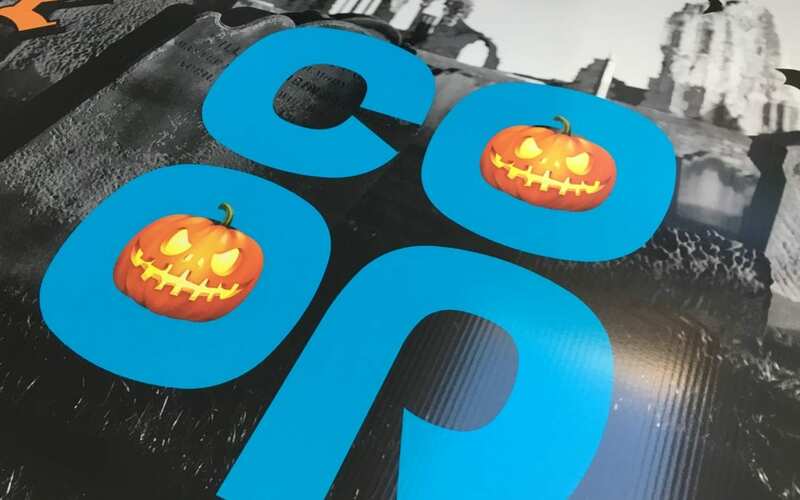 Getting ready for the Whitby Goth Weekend with digitally printed corex signs to be hung in store to celebrate Halloween.